Moscow, December 12, Interfax - UNESCO allots a status of especially secured objects to historic sites of old Georgian capital Mtskheta among which is the Svetitskhoveli Cathedral (the 11th century), the Jvari Church (the 7th century), the Samtavro Monastery (the 4th century). Georgian Culture Minister Mikhail Giorgadze told the journalists that such a decision was taken at the session of the countries-members of the committee of the 2nd Hague Convention For protection of cultural property in the event of armed conflict. “Status of intensified guarding means that in case of a military conflict all participants in it are obliged to provide protection for the objects of cultural heritage,” Giorgadze said. He noted that only ten objects in the world had this status so far. “From now on Mtskheta has become the eleventh object, this status is given to Svetitskhoveli, Jvari and Samtavro Monastery,” the minister said. Founded in the 5th century BC Mtskheta is considered “holy” in Georgia. Majority of the country’r cult sites are situated in Mtskheta located in 20 km from Tbilisi. This old town is called the “second Jerusalem.” One of the greatest shrines of the Christian world – the Robes of Christ are kept here. 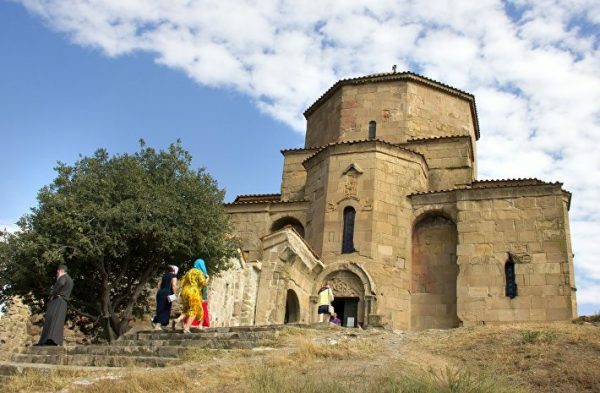 It explains a status of Mtskheta as the holy site that attracts pilgrims and tourists from the whole world.